This morning the House and Senate passed Senate Bill 2835! This bill is headed to the governor for his signature. 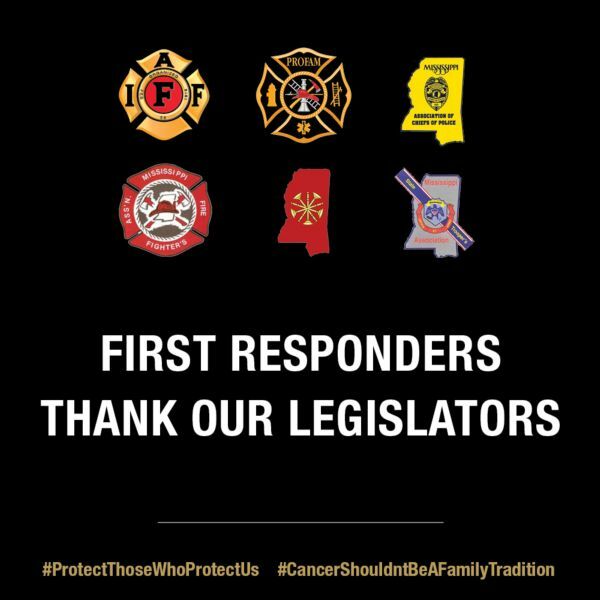 On behalf of our brothers and sisters in fire service and law enforcement, we say THANK YOU to the members of the Mississippi Legislature for passing our First Responders Health and Safety Act (SB 2835) into law! This legislation is perhaps the most meaningful we’ve ever pushed... as it will help save firefighters and law enforcement officers, including volunteers. Please let your Mississippi Senate and House Members know what a great job they did with this incredible piece of legislation. A few special acknowledgments in the Senate: Senator Joel Carter, Sen. Videt Carmichael, Sen. Eugene S. Clarke, and Lt Gov Tate Reeves. In the House: Rep. Jeff Hale, Rep. Gary Chism, Rep. Scott DeLano, Rep. Kevin Ford, Speaker Philip Gunn. 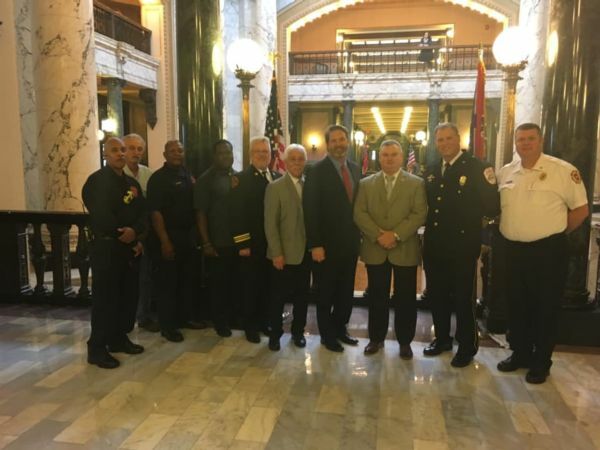 And so many organizations that worked together to make this legislation possible: The International Association of Firefighters, The Professional Firefighters Association of Mississippi, The Mississippi Fire Fighters Association Mississippi, The State Troopers Association, The Mississippi Fire Chiefs Association, and the Mississippi Police Chiefs Association. AND TO ONE VERY IMPORTANT PERSON: DONNA ECHOLS. She was amazing and we could not have done this without her! Thank you Donna! We love everything you have done for the fire service! 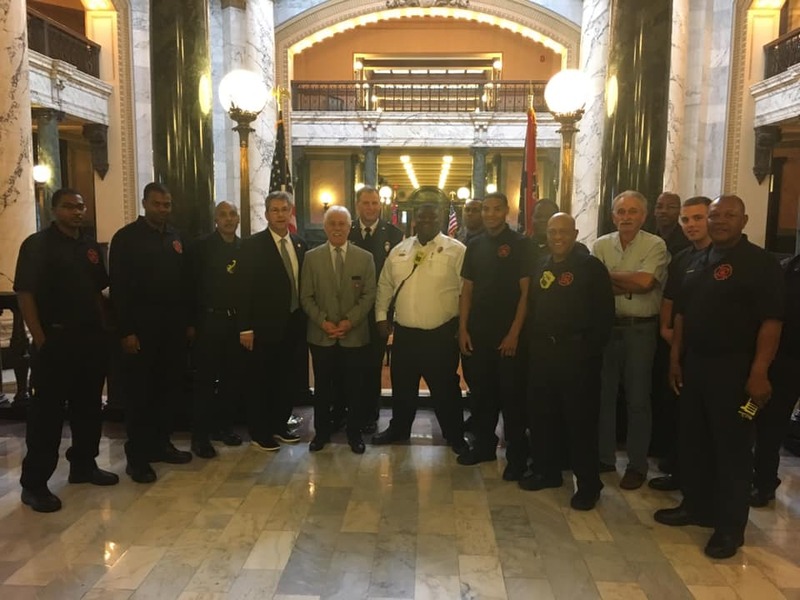 And for the support of EVERY fire fighter and police officer in the State of Mississippi who made the phone calls and worked so diligently to make this possible! Job well done for so many! Benefits paid to fire and police officers who have 10 or more years on the job. $35,000 lump sum benefit if diagnosed with metastasized cancer or terminal cancer. $6,250 lump sum benefit if diagnosed with non-metastasized cancer. Combined benefits can not exceed $50,000 in a lifetime. 60% of monthly salary for career fire and police up to $5,000.00. Unfortunately, the death benefits section was removed during the conference report and will not allow for first responders to claim a LODD. This was placed in the bill from the beginning but was taken out at the last minute. Again - great job by everyone that helped with this bill! We will be talking this summer about changing the death benefit in this law, looking for other funding for the cancer presumption, and PTSD benefits. In September, President Bass assisted the Jackson Habitat for Humanities with a home in the downtown Jackson area. 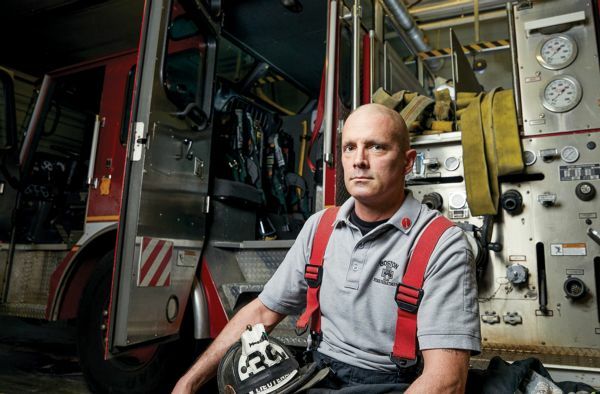 http://www.bostonmagazine.com/news/article/2017/03/19/firefighters-cancer/2/ It was nearly 100 degrees outside when the emergency call reached Engine Company 39. 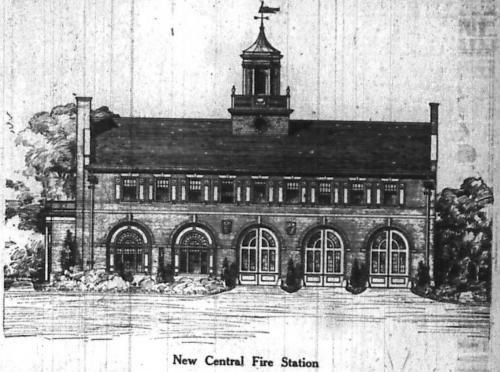 A triple-decker in Savin Hill had erupted in flames, and a haze of thick black smoke was all but blanketing the sky.